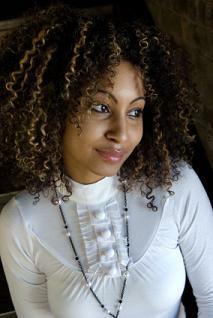 Two strand twists can be a great transition style that allows you to switch easily from twisted braids to a curly look. The released twists create fun, spiral curls, making this 'do two styles in one. Learn how to create and care for this simple, fun look. Creating two strand twists in natural or synthetic hair can be done fairly easily, no matter what your hair length. Shampoo and condition your hair. Towel dry and blot excess moisture; your hair should be as dry as possible to avoid breakage and stretching. Create a horizontal part right above the nape of the neck with a pointed rattail comb. Part the horizontal section into a vertical section, starting on the left side of the section. Clip away the remaining hair so that you can focus on the single section. Lightly mist the vertical section with water. Work a pomade or wax into the section from scalp to ends. Divide the section into two parts. Create your twists. Simply place one section over the other. Right to left, left to right and so forth until you reach the bottom of the hair. Continue sectioning and twisting the hair until the entire head is complete. Once twists are intact, spray with a shine spray to add sheen and softness. 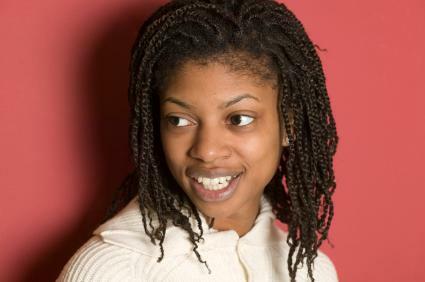 People who have relaxers may want to try twists when transitioning to natural black hair styles. To keep the look fresh, consider wearing it in these different ways. Wear your two strand twists in different styles, depending on the length of your hair. Tie shorter two-strand twists back using a scarf or a hair band. Place the scarf or band around the hairline, and tie it around the hair, tucking the ends of the scarf up into the wrapped portion. Ladies with longer twists can put the twists up in a ponytail; use coated ponytail holders instead of rubber bands to avoid hair breakage. Twisted ponytails can be positioned at the top or the rear of the hair. Leave some of the twists on the sides or temples free for added drama. Pin the sides of the hair up into a Mohawk style. Use several hairpins to secure the hair up, and down the sides. Pull some of the loose twists down into the forehead. Protect your twists with silk scarves. Use a little gel while tightly twisting the hair will help set the spirals that occur when the twists are removed. Make sure that the hair is completely dry before removing the twists. Use fingers to style or arrange the curls. For best results, keep the twists in the hair for several days. Tie the hair up at night to preserve the curls. It may be necessary to finger-comb the hair, arranging the curls in the morning. Use setting lotion to twist hair. Avoid gels that freeze or harden hair. Tightly twisted hair creates longer-lasting curls than other curling techniques. Prolonged use can thin hair, so it's a good idea to vary your style regularly. Cover your hair with a scarf at night to help keep the twists in place. Two strand twists are an easy and elegant style for black hair that is fun to try with either natural or artificial hair. Once you get the basic technique down, have fun experimenting with this flirty look.